The stage is set for the winner of Zone 3 in this year's Universities, Polytechnics and Colleges (UPAC) Basketball Championship to be determined. The zonal games are to be played out on Saturday, March 16 at the Regent University College of Science and Technology. 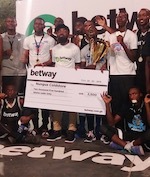 Regent University is to host the games for the first time after making its debut appearance in Ghana's most decorated tertiary basketball competition just last year. 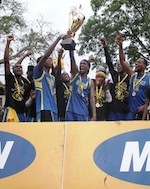 The privately run institution was called as a replacement for University of Cape Coast who withdrew from the 2018 Championship. Marshalls University College and KAAF University College will battle the host institution for the zone's top spot which qualifies the winning team to the quarterfinals of the 2019 tournament. Winners of the eight zones will converge at the University of Ghana and Accra Technical University in April for the quarterfinals. After crashing out early in 2018, Marshalls University would be yearning to get back to the heights of 2017 where the team placed second overall in the Championship. Aside Marshalls, none of the remaining teams in the Zone have progressed to the knockouts before. Koforidua Technical University and Takoradi Technical University won Zone 1 and Zone 2 and have qualified to the quarterfinals. University of Ghana are defending champions.